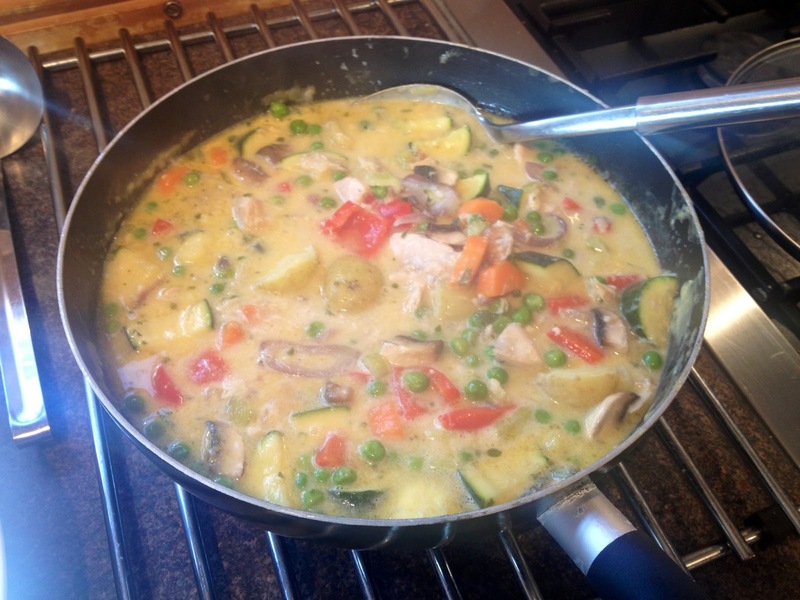 This recipe came about entirely by accident when I wanted to make fish pie one evening. 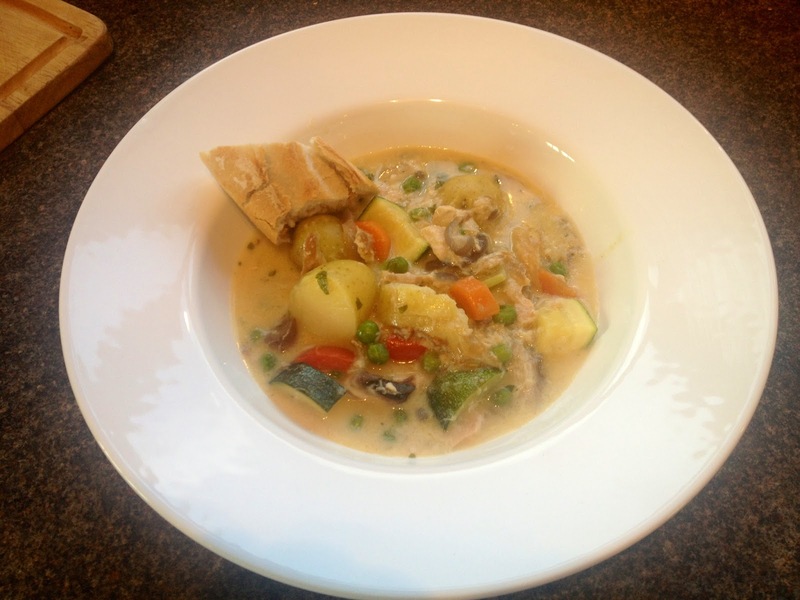 I had 2 salmon fillets in the fridge that needed using up and a couple of smoked mackerel fillets.. but then I realised I didn’t have any large potatoes for mashing and the shops were closed so I had to have a re think and since I did have some new potatoes I decided I’d make the filling into more of a stew and put the potatoes into it. So basically, I made this up as I went along and it turned out pretty good so I’m sharing it on here. 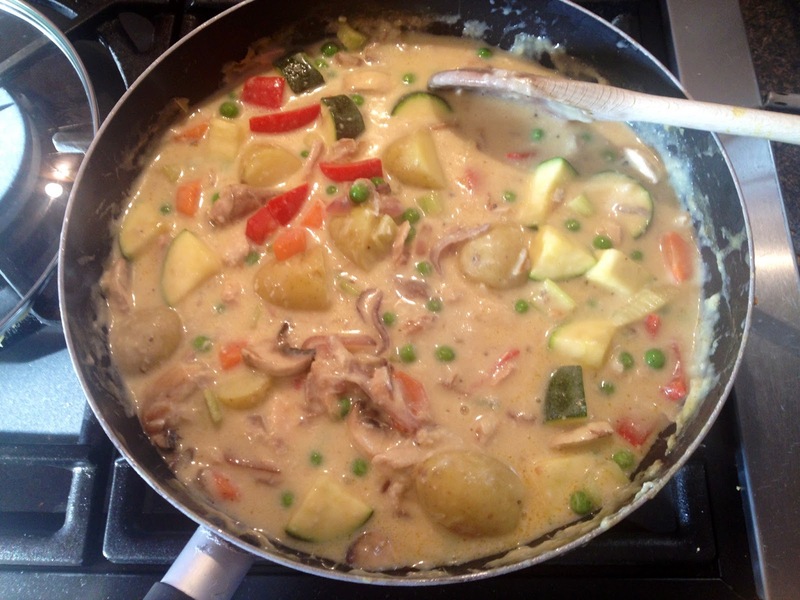 Feel free to mix and match the veg, I just used what I had left from the week in my fridge. It’s nice served with some crusty bread for dipping. 1. Put a pan on to boil and par boil the potatoes. Remove, drain and set aside when cooked. 2. 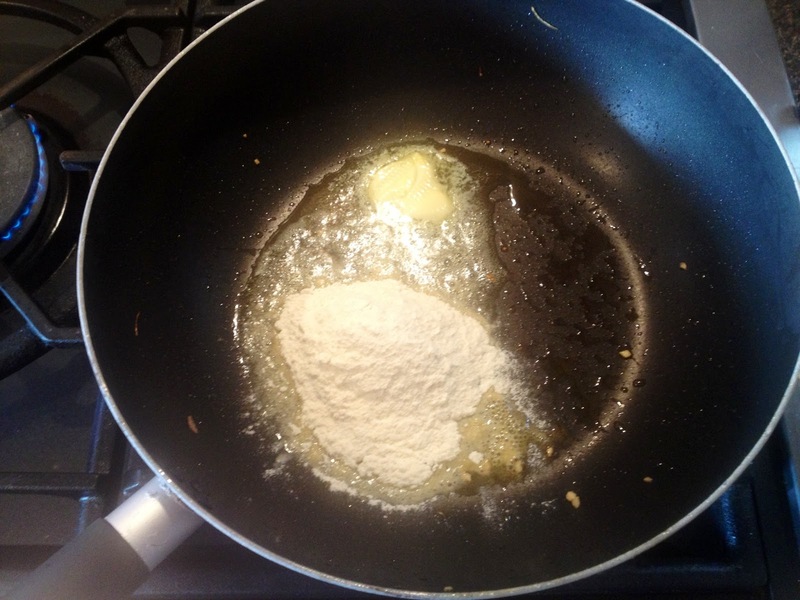 Put a large pan on a medium heat and add the oil. 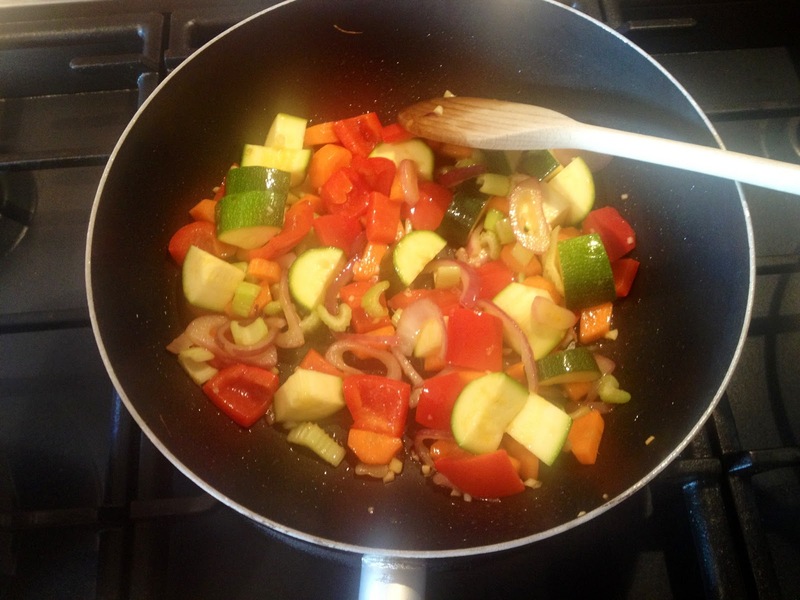 Fry the carrots, onions, courgettes, peppers, garlic and celery until the vegetables have softened. Remove the vegetables from the pan and set aside and cover in foil. 3. Turn the heat down low and add the butter to the pan and melt. 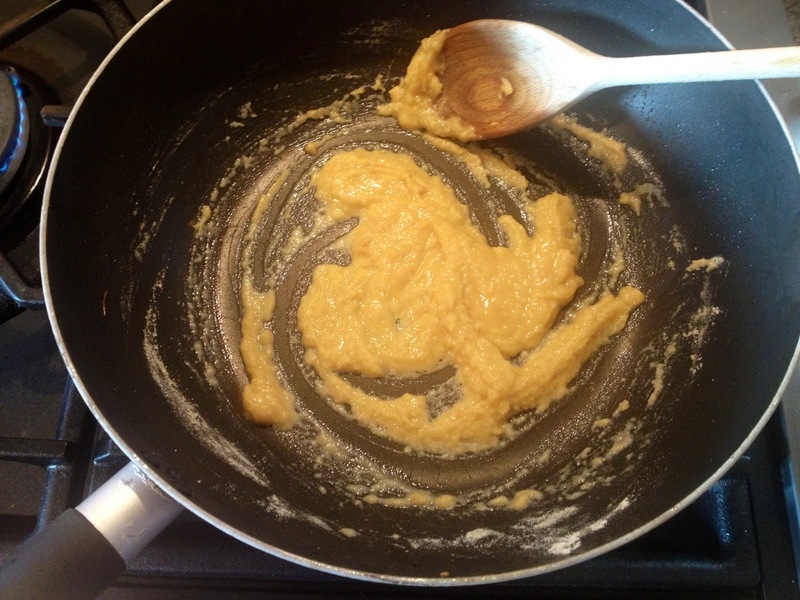 Add the flour and mix together to form a roux. 4. 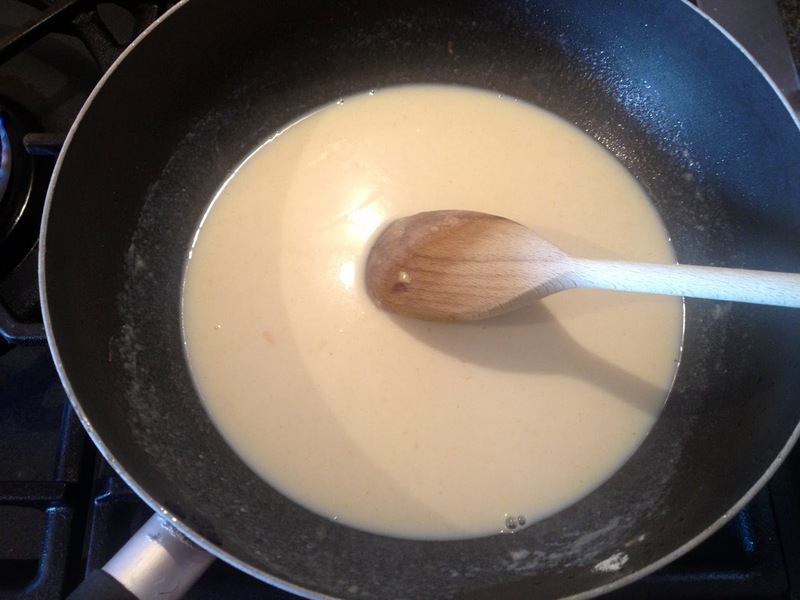 Add the milk and mix thoroughly. 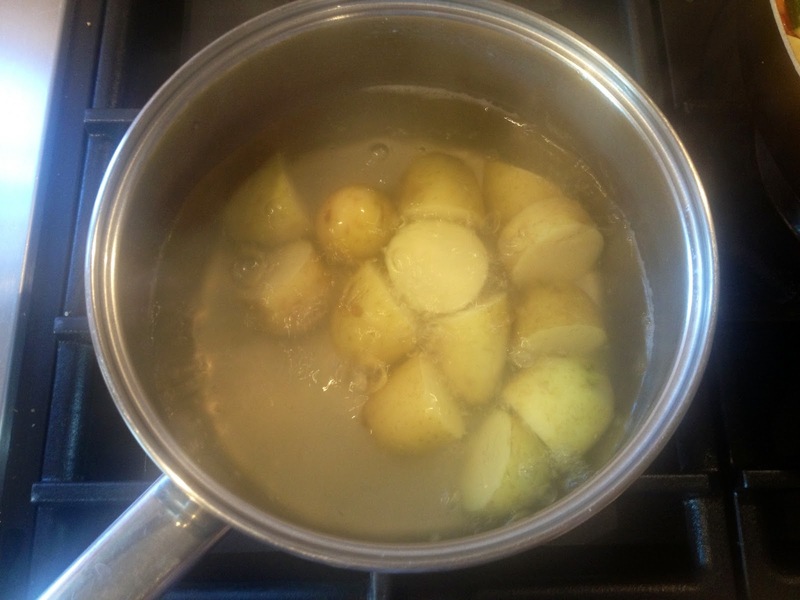 Bring gently to the boil and then reduce the heat and allow to simmer. 5. 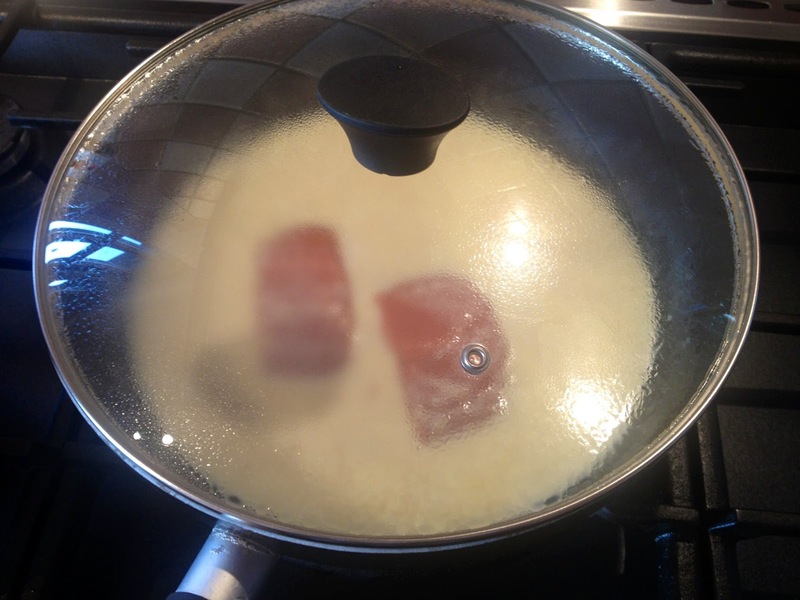 Place the salmon in the milk and cover. Leave to poach for about 10-15 minutes. 6. 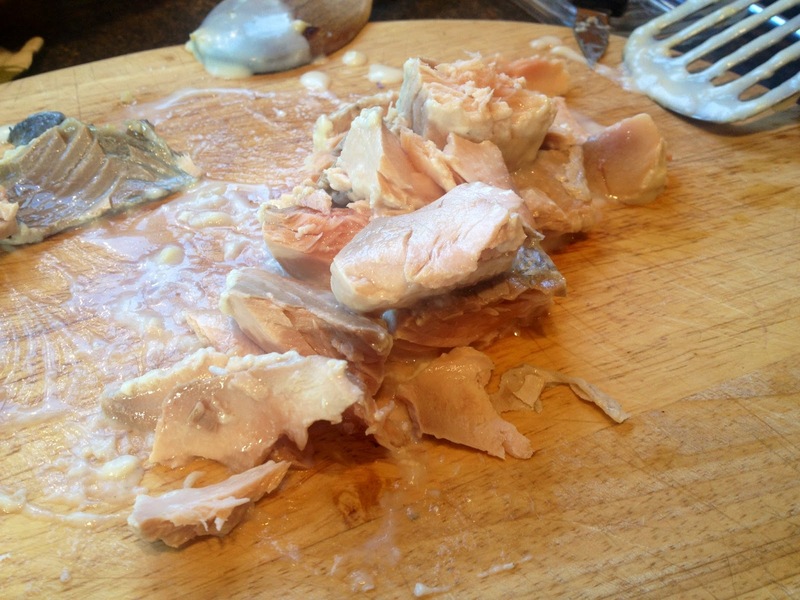 When the salmon is cooked, remove from the pan and flake into pieces, removing the skin. 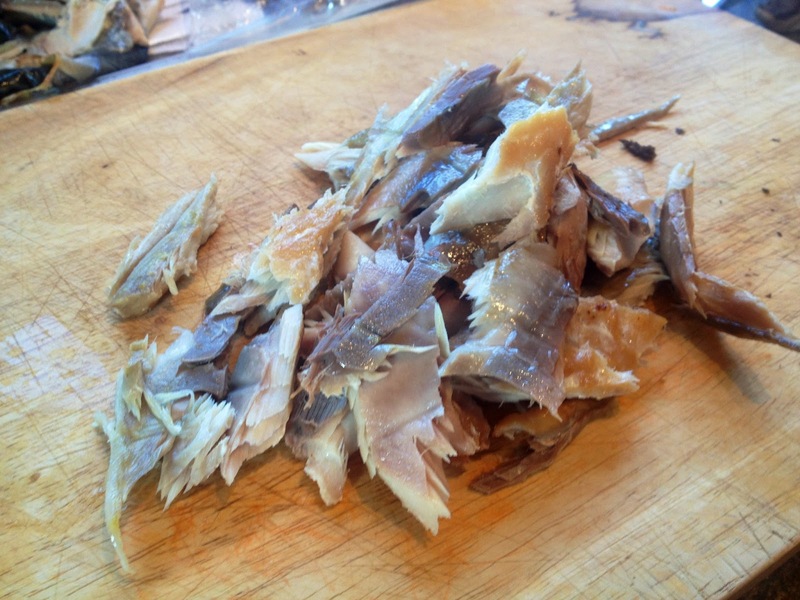 Do the same with the mackerel. 7. 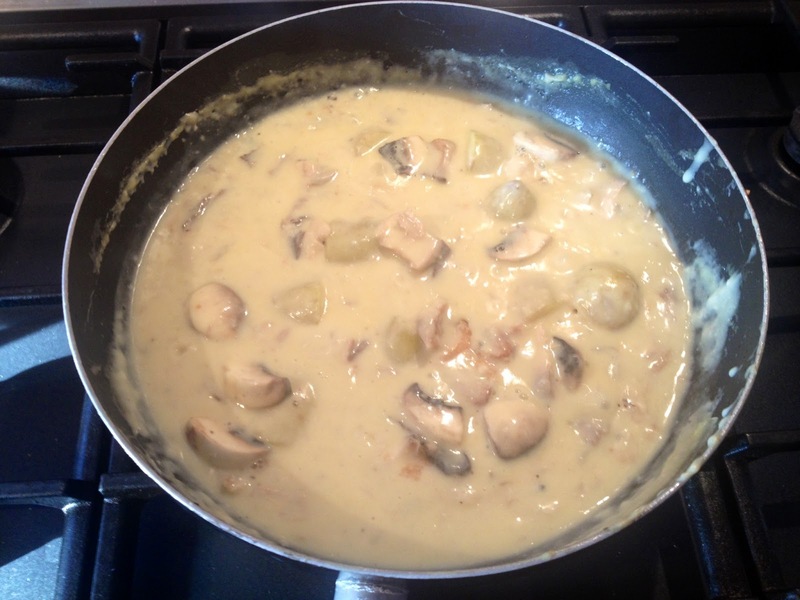 Return all the fish to the pan with the mushrooms and the potatoes. Mix through and season with salt and pepper. Stir in the mustard. 8. Add all of the veg back into the pan. Add the frozen peas. If the sauce is looking a little thick add water. Cover and leave to simmer gently for 20 minutes. 9. 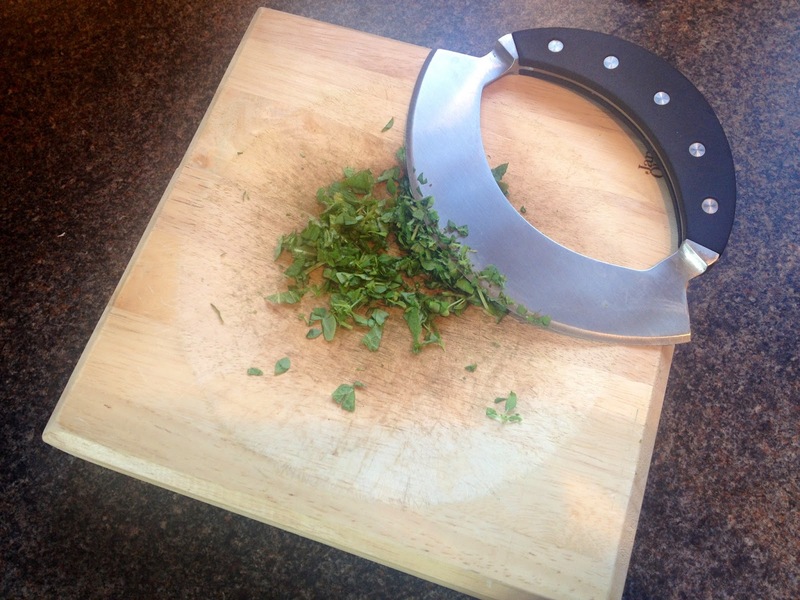 Stir through the freshly chopped herbs and remove from heat ready to serve. 10. Spoon into bowls and serve with hot crusty bread.